…While the family sleeps our young adventurer awakens and partakes in a moonlit search looking for her angels. The child mistakes a feather from her pillow for an angel and suddenly there are feathers everywhere even in the goldfish bowl with her fish Bubbles and Sushi. Guardian angels are all around her but cannot be seen! They blow whistles and wave flags and flashlights to no avail. In the end, the angels find a way to make sense of it all by leaving an acronym for the word ANGEL on the child’s chalkboard. There are loving angels all around us! Angels are the bridge that connect human beings to pure and unconditional love. Children’s books especially in the form of bedtime stories are a great way to open the eyes, minds and hearts of young children and of the people who are reading books to them. 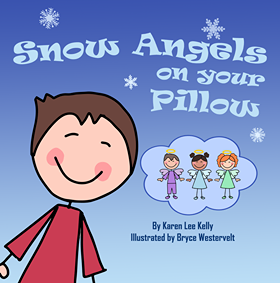 The colorful picture books in the “Angels on Your Pillow” series are books for kids designed to create curiosity and conversations about angels, God and your own faith. 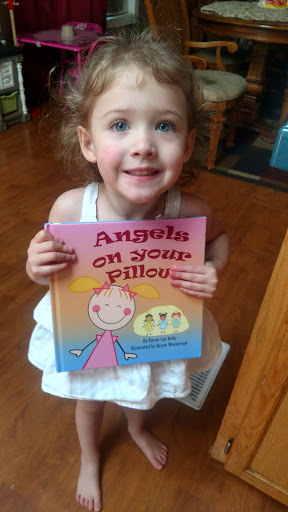 “Angels on Your Pillow” is also a wonderful way to introduce your little loved ones to their first children’s bible. Discovering and reading meaningful kid’s books will help everyone understand the truth which is that each and every one of us is loved more than we will ever know. When we allow ourselves to accept and welcome that reality, we achieve inner peace and become messengers of love ourselves. 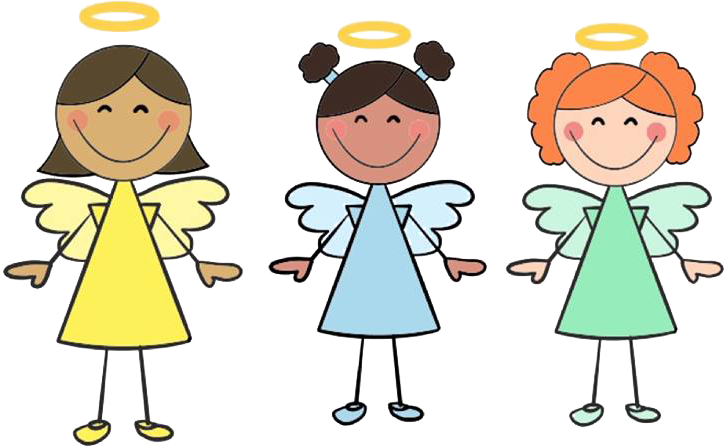 Please share your angel stories with us! 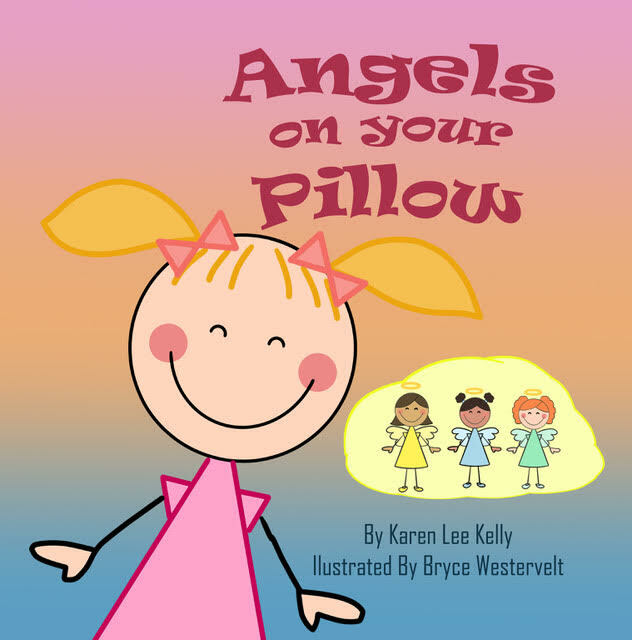 “Karen Kelly released the first in a series of angel adventure children’s book in late 2016 called “Angels on Your Pillow” and she plans to roll out at least three more angel adventure picture books over the next three years. Each angel book will have a situation where someone misunderstands something creating chaos. Guardian angels are present in each of the books; they bring things back to normal making sense of it all by using an acronym at the end of each story. The acronym in “ Angels on Your Pillow” is ANGEL which stands for Always Near God’s Endless Love. “Snow Angels on Your Pillow” (book two) is in the works and is about a young boy named Flynn who believes snowflakes are angels. Flynn makes a big wet mess when he decides to surprise his grandmother by filling her pillow with snow; the acronym in “Snow Angels on Your Pillow” HUGS which stands for Heaven’s Unconditional Grace Shared. Writing books for kids and reading books to them is Karen’s calling and although “Angels on Your Pillow” falls under the category of kid books such as children’s bible adults will also find a meaningful message as her bedtime stories are focused on bringing awareness to pure unconditional love in a playful way. 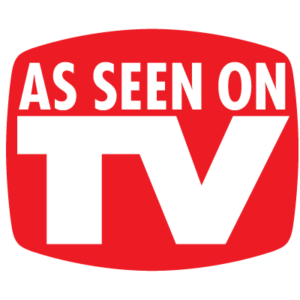 NCTV 17 By Liz Spencer.